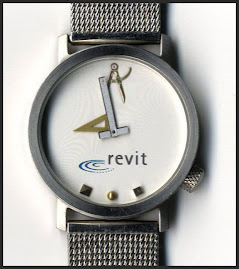 Anybody that's been using Revit for awhile has probably thought, "It would be nice if the text editor was better". It's always been very rudimentary and even with the few improvements it's received it remains so. One point of pain is using TABS to create columns of information. The frustration isn't the concept as much as how Revit alters the format of the text when we select it to change it. If we get everything just right and return later often the text gets messed up. This is an example of text that I've formatted into columns with the TAB key, text style is set to a Tab Size of 1/8". Awesome bank balance eh? Here's what happens when I zoom in to see the text a bit better and select the text again. Autodesk support suggests we try to return to the same zoom factor we used to create the text. That's hard to do if we didn't create the text or if we come back later. 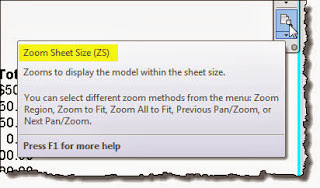 They recommend we use the Zoom Sheet Size feature to ensure consistent editing zoom factor. Zoom Sheet Size adjust the view as if we are printing and viewing the information at 1:1, taking in account the view scale. 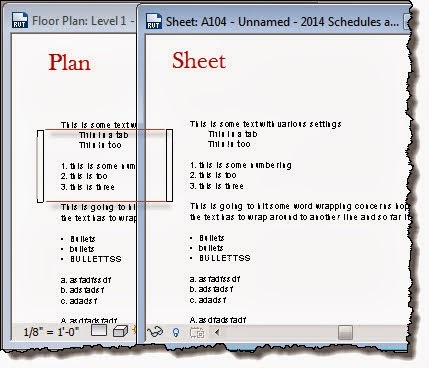 This image shows using it on both a floor plan and sheet view that has the same floor plan on it. 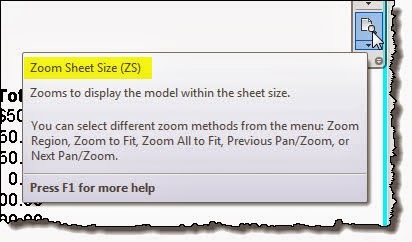 Zoom Sheet Size adjusts both views to show the information at the same "size". Fwiw, when I see the formatting is messed up I find that using Zoom Sheet Size and then selecting the text and clicking it again to edit the text Revit will "fix" the formatting that was messed up by zooming in closer earlier. Something to consider until text is less finicky. I should also mention that with 2014 this kind of tabular information could be created in the header portion of a schedule like this. And again but without grid lines visible, more like the text but with a bit more control over formatting.